The Hot Teas’ performance is the second of three shows in our 2018 Summer Series. The audience waited patiently, eagerly anticipating the arrival of the nights’ musical guests–The Hot Teas. Unbeknownst to these picnic-ready attendees, the performers had already embedded themselves amongst the crowd. One by one, each of the ‘teas’ popped up to join the chorus of vocal harmonies. The singers had taken full advantage of the Amphitheatre and positioned themselves to match the acoustically optimized soundstage. 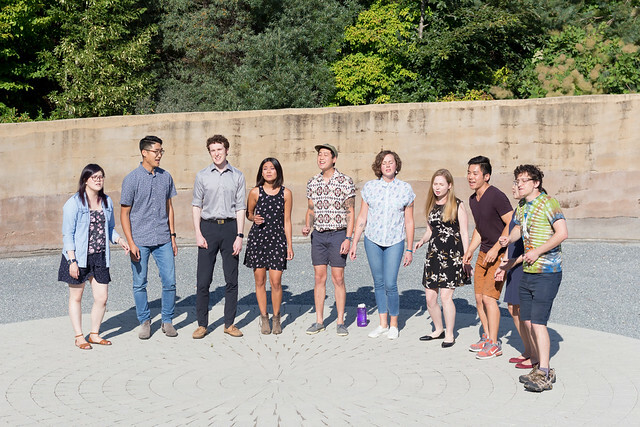 The a cappella group’s powerful, yet controlled, voices filled the space with feel-good summertime favourites from the likes of The Beatles, Beyonce, and Marvin Gaye. As it turns out, The Hot Teas were the perfect compliment to a cold beverage. See snippets from the performance on our Instagram Highlights.